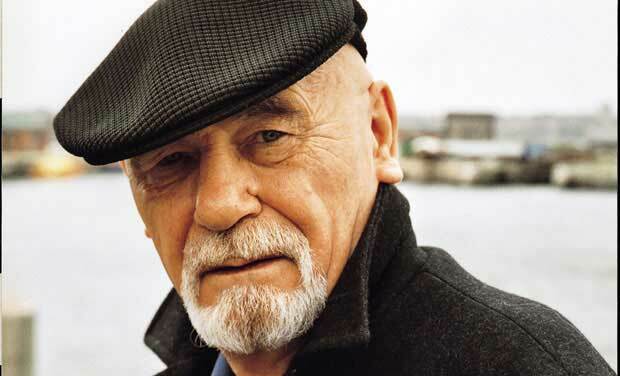 An English novelist, Brian Jacques is extremely renowned for his Castaways of the Flying Dutchman and Redwall series. He was born in Liverpool, England on 15 June, 1939, however his roots lie in a number of Irish countries. His father was of French descent. To avoid confusion, he was known by his middle name Brian since his brother and father also held the same name, James. Since a very young age, he showed love for writing and literature. The latter one was undeniably encouraged by his father who read him stories from famous authors such as Robert Louis Stevenson and King Arthur when he was young. When in school, he was felicitated by his teacher for writing a beautiful story. His teacher couldn’t believe that a boy so young his age could actually write something so creative. At a very young age, his wrote his book “Red wall” which was dedicated to special children. This was what brought him close to children and he began to spend time with them. His story was written in a dramatic manner so the children could identify with the action in the story. His work was brought into notice when his friend, Alan Durband showcased his work to a publisher. This eventually led him to sign a contract to write the next five books in the series. Jacques was of the view that the characters he displayed in his stories had some relation with his past life. His ensemble cast of characters included anthropomorphic animals. Besides, some of them were those whom he met during his travelling. His books have gained a cult status by selling twenty million copies and also been translated in twenty eight languages. Other than that, he also hosted a radio show which stayed for almost 30 years. Often he was compared with his contemporary, J. K. Rowling and her famous Harry Potter series but he brushed it off saying that he hated to be labelled as a ‘fantasy writer’. This made his books devoid of the feeling which he wanted to reach out to his readers. The Liverpool Fishermen, founded by him and his brothers was formed in the 1960’s that became eminent in the local pubs. They also released an album that became an instant hit. Some of his short stories and poems were published in 1971 by the Anvil Press. In 1981, his career took another level when he achieved considerable success as a playwright. Fortunately, this gave his play a golden chance to perform at the theatre. He was also a merchant sea man. On 5th February 2011, at the age of 71, he died of a heart attack. He was survived by his wife and two adult sons.